The Harley-Davidson® Fat Boy® Lo takes the winning fat custom recipe that was perfect in the Fat Boy® and makes it lower, longer, and meaner for a more dynamic riding experience. 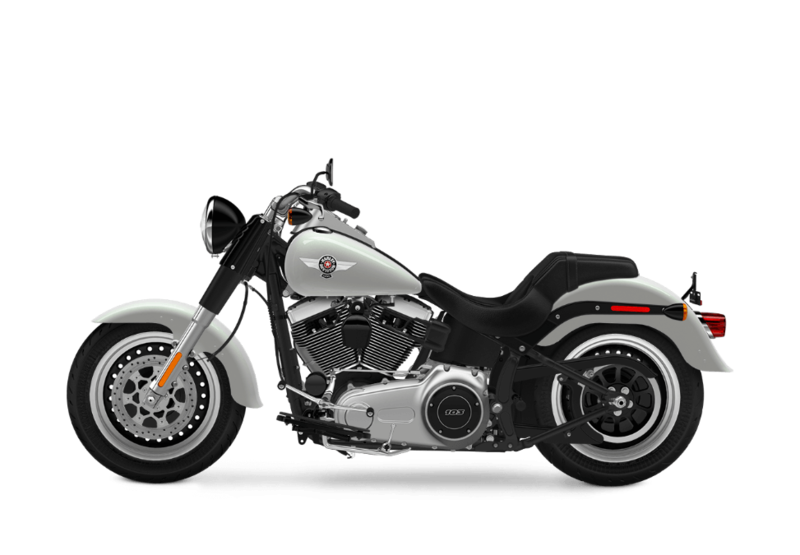 The Fat Boy® Lo is part of the the Harley-Davidson® Softail® lineup, and it’s available now at Avalanche Harley-Davidson®, serving Denver. The 2017 Fat Boy® Lo is a throwback to classic choppers from the 60s and 70s with its hidden suspension and hardtail looks. It’s still a classic even today. Fat Custom Tank Details: Classic chopper details like chrome side badge, satin chrome speedo, and ignition switch console give you everything you need sitting on top of the tank right where you need it. 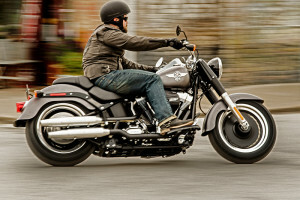 Hidden Rear Shocks: Like other Softail® models, the Fat Boy® Lo is equipped with an invisible rear suspension. 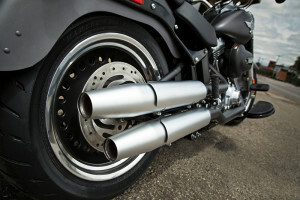 The hidden horizontal shock offers a clean, rigid look without the bone-shaking ride. 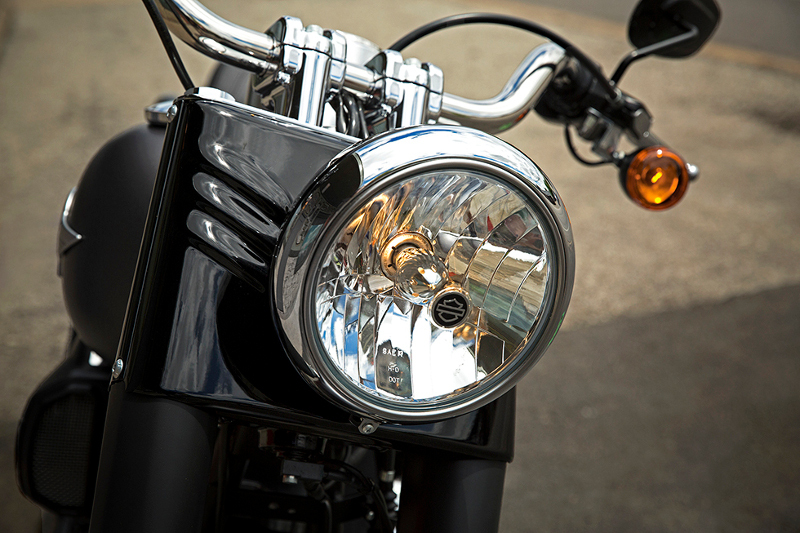 Fat Features: The Fat Boy® Lo has custom details abound. The oversized front fork, huge chrome headlamp, oversized handlebars, and the meaty 140 mm tire up front with the monstrous 200 mm tire out back all combine to form a distinctive look that could only be a Fat Boy®. Blacked Out Finishes: The Fat Boy® Lo is layered in black finish all around, with unique black denim finishes on the frame, swing arm, front shock covers, derby cover, horn cover, coil cover, oil filter cover, and more. It’s a classic custom look that speaks volumes to those in the know. 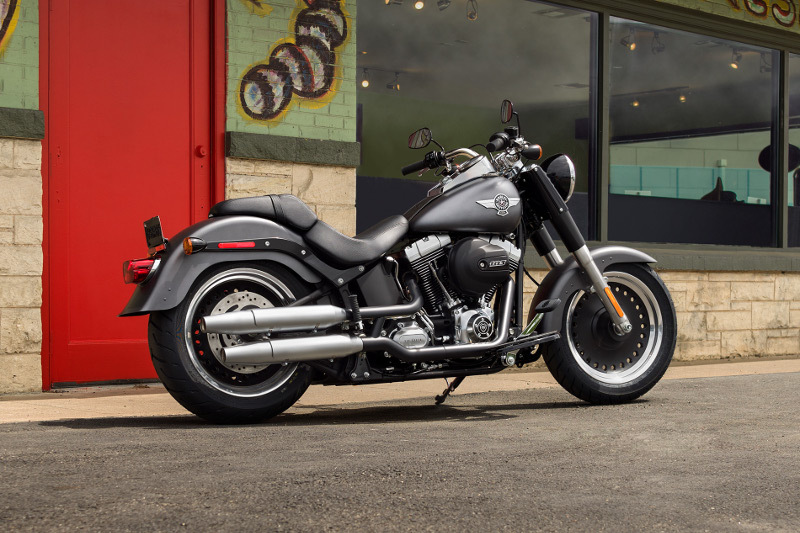 The Fat Boy® Lo comes standard with the burly High Output Twin Cam 103B™ V-Twin that cranks out all the muscle you’d ever want. 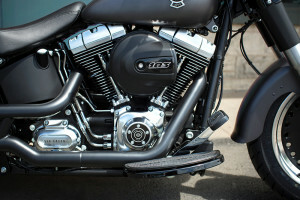 The power is then transferred through a smooth six-speed transmission to the oversized rear tire. New High Output Twin Cam 103B™ Engine Power: Why wouldn’t you want more power? That B in the name indicates that this engine has more torque than the previously offered Twin Cam for more satisfying acceleration and more low end torque. Pure Harley-Davidson Styling: It’s not just a beautifully made engine; it’s just a beautiful piece of hardware. Custom finishes like black powder coated heads, machined cooling fin tips, satin chrome rocker covers, and more add to the good looks. 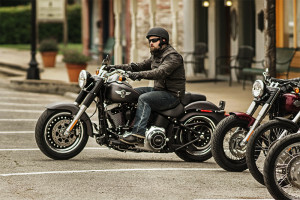 Six-Speed Cruise Drive® Transmission: Riding the Fat Boy® Lo is a dream, in part because of the Six-Speed Cruise Drive® transmission. 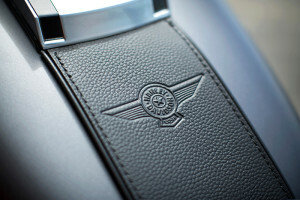 It provides the kind of control you want, allowing you to shift smoothly through the gears and simply enjoy the ride. 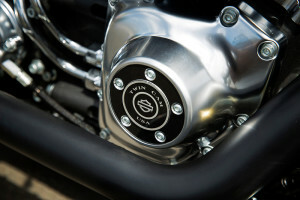 New Air Cooled, High Output Twin Cam 103B™ Heritage: A century is a long time to be building engines, so you know that the Harley-Davidson® Motor Company knows a thing or two about it. This engine is descended from the other famous air-cooled v-twin power plants that have offered reliable performance for decade after decade. New High Output Twin Cam 103B™ Engine Innovation: Creating engines isn’t just an industry, it’s an art form. 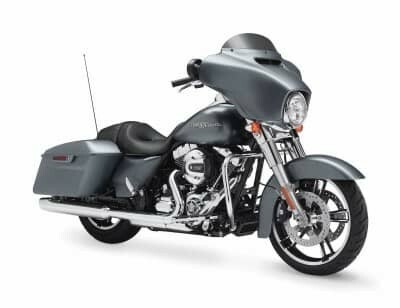 Harley-Davidson® has crafted this gem of a powertrain with new lightweight pistons and stronger internal components for more power and reliability. The Fat Boy® Lo is designed around dominating the streets with oversized tires, smart design, and powerful brakes. Low Suspension: The Fat Boy® Lo sets the standard for low. 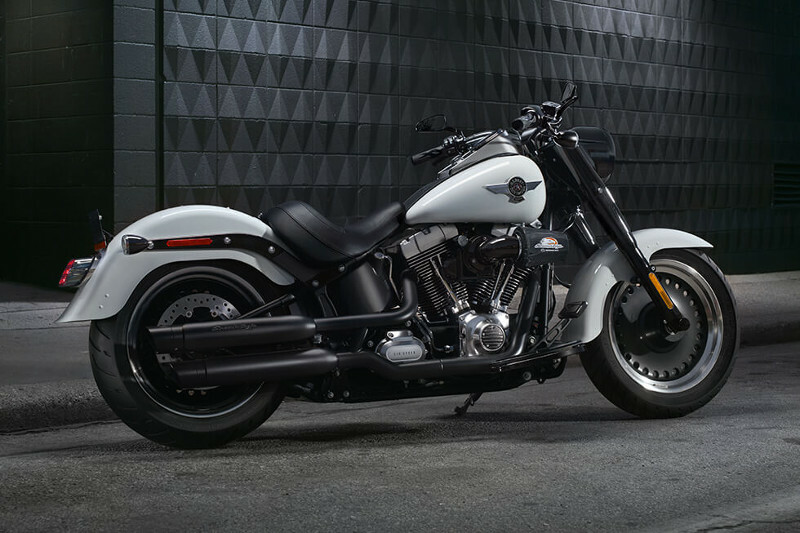 It’s dropped 1.15 inches from the standard Fat Boy® for a seat height of only 24.25 inches, so it’s perfect for anybody who wants to feel low down on the bike or for smaller riders. Fat Dunlop® Tires: It’s easy to see that with all that rubber on the road, you’ll also enjoy tons of traction and reduced road feedback. It’s a riding experience you just have to feel to believe. 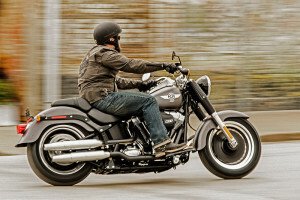 Front Brake System: To slow down all that rubber, the Fat Boy® Lo comes standard with a brake system that provides a 40 percent reduction in lever force required for peak braking. New 4-piston calipers with bigger pistons and larger rotors help deliver the brake force you need. 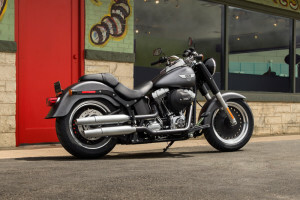 New Ergonomically Designed Hand Controls: Harley-Davidson® puts the controls where you need them on the Fat Boy® Lo, allowing you to ride for mile after mile without fatigue or discomfort. New Electronic Throttle Control: With the new electronic throttle control, the wires hide inside the handlebars for a clean, uncluttered look. This also makes it easier than ever to install available Harley-Davidson® cruise control. Thanks to a number of smart features, the Fat Boy® Lo provides all day comfort for one rider or a rider and a passenger. Low Profile Chrome Handlebars: With a low reach and a low profile, these fat oversized handlebars put you in the right position to ride. They’re also comfortable for both new riders and smaller riders. Narrow Seat: The narrow seat makes this bike feel even lower, giving you the ability to easily to put your feet down at the light. Again, this is perfect for smaller riders, new riders, or anybody who wants to ride low. Full-Length Rider Footboards: We know that not everybody likes to ride in the same way, and that’s why we’ve installed full length floor boards. They allow the rider to position their feet in whatever way is most comfortable. The Fat Boy® Lo is offered with the latest high tech features, pairing this classic bike with modern technology. 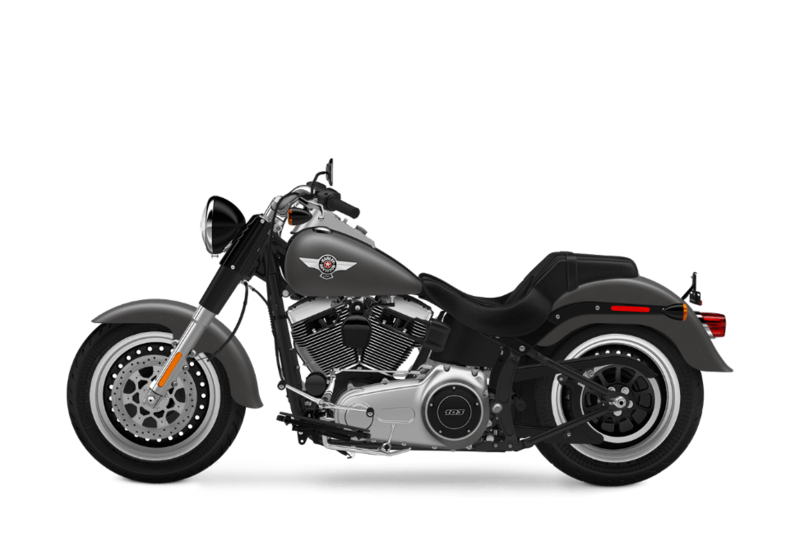 H-D® Smart Security System (Optional): Protect your investment with an optional high tech wireless security system from the factory. The wireless keyfob automatically arms the security system when you leave your bike. 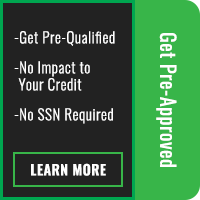 A little peace of mind is worth the modest upcharge for this sophisticated protection. 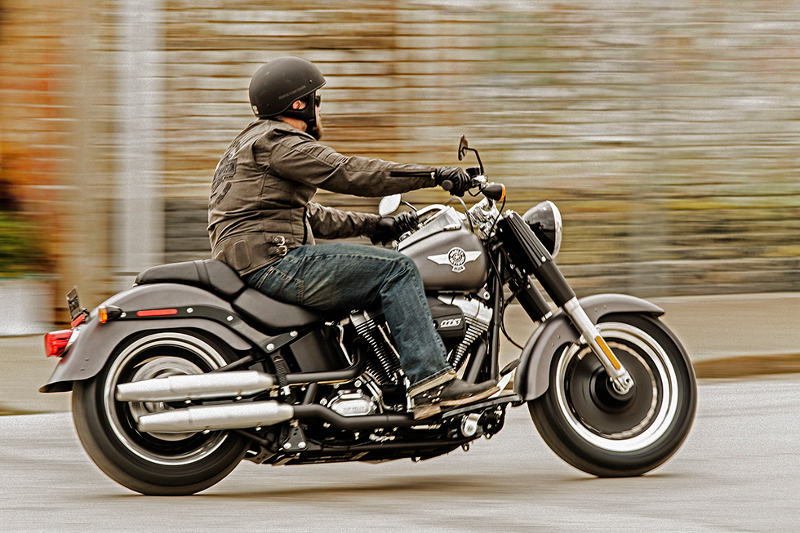 Anti-Lock Brakes: The Fat Boy® Lo comes with antilock brakes standard. While those big tires grip well in all weather conditions, you’ll be assured that with antilock brakes, you won’t lock up even when it’s slippery out.